When I was a young adult, I was part of a choir, the William Locke Singers, that sang Johannes Brahms’ A German Requiem. We were told that this is a Protestant Requiem, and is all about hope. We sang it in English, and indeed the text is entirely taken from the Bible – verses full of hope and about the beauty of heaven and about comfort. Some time before we performed the Requiem, a college friend died in a freak accident. This requiem – and singing those words over and over again – comforted me. I often play the Requiem over and sing along at Easter when I’m thinking about Resurrection. 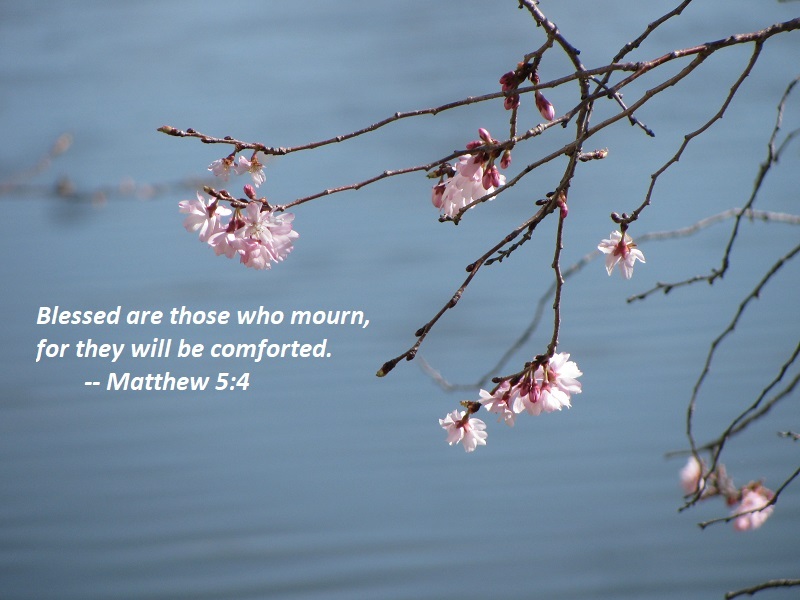 This year, today I’m attending a memorial service for an elder of our church who died after a long battle with cancer. He was only a little older than me, and leaves a wife and two adult kids – and a grieving church. So – today not only am I listening to this wonderful requiem, I’m going to type out all the verses in the text. Now, in the music form, this is extremely, extremely repetitive. So learning this piece gets you thinking about these things and repeating them in beautiful music over and over and over again. The words are beautiful – but singing them in this incredible piece of art puts them right into your heart. They that sow, that sow in tears, shall reap, shall reap in joy. shall doubtless return with rejoicing, and bring his sheaves with him. For lo, the grass with’reth, and the flower thereof decayeth. Now therefore, be patient, O my brethren, unto the coming of Christ. and hath long patience for it, until he receive the early rain and the latter rain. Behold, all flesh is as the grass, and all the goodliness of man is as the flower of grass. But yet the Lord’s word endureth, endureth for evermore. Joy everlasting upon their heads shall be. and tears and sighing shall flee from them. Joy everlasting, joy upon their heads shall be. Verily, mankind walketh in a vain show, and their best state is altogether vanity. My hope is in Thee, my hope is in Thee. But the righteous souls are in the hand of God, nor pain nor grief shall nigh them come. How lovely is Thy dwellingplace, O Lord of Hosts, O Lord of Hosts! my soul and body crieth out, yea, for the living God. they praise Thy name evermore, they praise Thee for evermore! How lovely is Thy dwellingplace. howbeit, ye shall again behold me, and your heart shall be joyful. but at the last I have found comfort. Yea, I will comfort, will comfort you. howbeit, we seek one to come. in a moment, in the twinkling of an eye, at the sound of the trumpet. Then, then, what of old was written, the same shall be brought to pass. For death shall be swallowed in victory, yea, in victory! Grave, where is thy triumph? and for Thy good pleasure all things have their being, and were created. I looked for a youtube video of Brahms’ Requiem sung in English, and found this playlist, which should take you through all the movements. You are currently browsing the Sonderjourneys blog archives for March, 2018.